City Council and the Mayor are starting up the next city budget cycle. This is a good time to get involved and tell them what you want city priorities to be. It’s our civic duty to be involved. Strong citizens result in strong leaders – if we don’t exert our civic muscles, in the vacuum we can get leaders who serve the rich, or corporations, or whomever, but certainly not us. It is not enough to complain to each other about how things are wrong; we must communicate with our leaders (and, by the way, vote for our leaders). 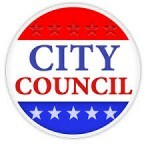 Here are the email addresses of city council and the mayor. All you have to do is copy and paste these strings into your email To: line. This is a request for more funding for the SPD North Precinct in the upcoming budget cycle. Our neighborhood, Pinehurst, is nestled between Northgate and Lake City in the North Precinct. We appreciate Seattle Police Department’s efforts to ensure public safety and respond to our concerns. Besides the patrol officers, the Crime Prevention Coordinator is a wonderfully responsive resource, as is the Community Police Team. In the meantime, we know SPD’s services could be even better, so we are asking you to increase the North Precinct budget so Captain O’Donnell has more resources at his command. Many people in Pinehurst (as evidenced on our 2000+ member Facebook group, Pinehurst Seattle) are concerned about response time to 911 calls. For instance, in December one member said it took almost 4 hours for police to come after he called 911 saying his car had just been stolen at work around midnight. There is a lot of fear of property crime, and people are not satisfied with police response. North Precinct is the largest geographical precinct in the city. The officers have to reach all corners of the precinct from the one precinct building while traffic is getting more and more congested. We would like the budget to allow for some small satellite offices so patrol officers can be stationed closer to different parts of the large precinct so they can respond faster. Another way to increase 911 response time is having more officers on patrol. We would like the North Precinct budget to be increased to hire more patrol officers. Having more patrol officers also helps citizens feel that SPD is out there being proactive. We hear VERY often from neighbors that ‘the police just don’t care.’ More patrol officers for the North Precinct will help show citizens that they DO care. Public perception of police cannot be ignored; it is in the interest of SPD to present a friendly, available, helpful face to the public. Bike patrols help do this. We would like the North Precinct budget to be increased to add more bike officers. We are looking forward to reimplementation of the Community Service Officer program. We would like CSOs to be assigned to precincts, as opposed to being central, so the officers will get to know their precincts better and be able to help more with neighborhood issues. More bike teams and CSOs dedicated to the precinct will help people feel more connected to SPD and help them see that SPD does care about the neighborhood. We would like more reported crimes, such as burglaries, to be investigated; it’s very discouraging to report a crime and then never hear another thing about it. This is a disincentive to people calling in crimes, and it also reinforces the belief that the police don’t care. Therefore, we ask for more detectives to be added to the precinct’s Crime Investigation Team. We look forward to SPD budget increases in the North Precinct to help solve these issues and concerns in Pinehurst. Thank you for the job you do juggling priorities in the city; we know it is difficult! Done – thanks Nancy for making this easy to do!